A common word of wisdom goes that you should never burn any bridges because you never know what the future will hold. Ko Cheok Hee (Jo Yeo Jung) is an unscrupulous divorce attorney who will do whatever it takes to get what she wants for her clients. Her office manager, So Jung Woo (Yun Woo Jin) doesn’t hold back his opinions and criticizes everything that Cheok Hee does wrong, and the two constantly bicker and collide. Ultimately, the two can’t stand each other and Jung Woo leaves his job and ends up going to law school and also becomes a divorce attorney. Years later, Cheok Hee gets her legal license suspended because of professional misconduct. 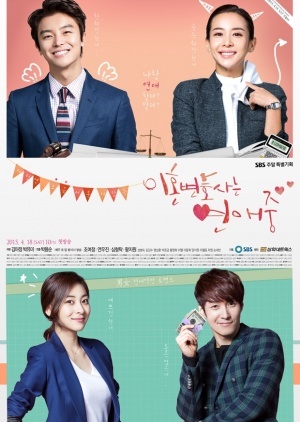 When she runs into Jeong Woo, she goes to work for his law office as his office manager. With the tables now turned, can Jung Woo survive the abuse she gets from her new boss?